We’ve discussed beginnings and middles and endings and pivotal moments. You’ve even placed these things on a timeline, so you have a sense of how many days or months or years your novel will span. Let’s say your novel unfolds over the course of one year. When you are working with a year, you have seasons to consider, along with holidays. These impose a rhythm upon your story that can be a useful framework. With a novel that covers a year, there is an assumption that a lot will be skipped over. You can give us a scene one day and skip to a week later without filling us in on what happened in between. And with a story that takes place over even a longer period of time, those leaps can be more dramatic. You might even skip from a character’s childhood to her adulthood, for example. 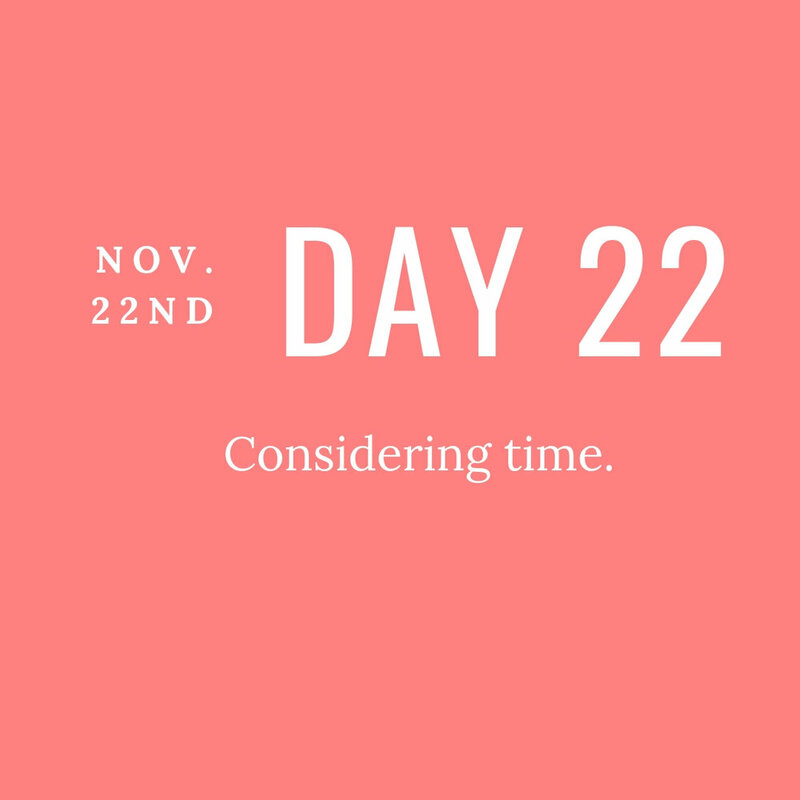 However, if you compress time and have your novel set over a few days, or even over a single day, the passage of time carries its own tension, like a clock ticking down. Within any length of time, though, come the same opportunities to speed up time and to slow it. Let’s look at how this works within scenes and chapters. Go through your manuscript (or timeline and scenes if you don’t yet have many pages written) and mark places where you leap through time, or places where you could. Next, identify points in your novel that you would like to slow down. They should be important moments, one where a new truth settles in for your character, or something changes, or a hope or fear is either sparked or resolved. It could be a moment of anticipation, or fear, or joy. You can stretch a single minute into several pages by focusing on what your character is experiencing and thinking and feeling, and lingering on setting details that enhance the mood of the scene.